STURGIS, S.D. July 6, 2011— After the huge success of last year’s show, The Horse Backstreet Choppers will bring its fifth annual The Horse Backstreet Choppers Bike Show to Michael Ballard’s Full Throttle Saloon, once again, during Sturgis Bike Week 2011. This FREE show will be held Monday, August 8th, 2011 and will feature guest judges, door prizes and giveaways, a burnout pit, live music and beautiful women. NO registration fee or entry fee, this is a completely FREE show. 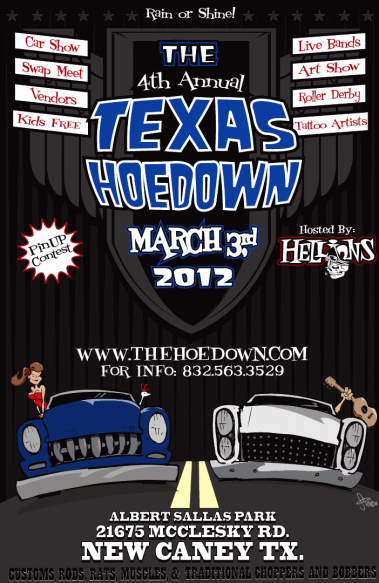 The Horse’s mission is to recognize all hard-core, garage-built backstreet choppers, all owners are encouraged to enter. Open, FREE registration will be held from 9 a.m. to noon, all bikes must be in by noon. 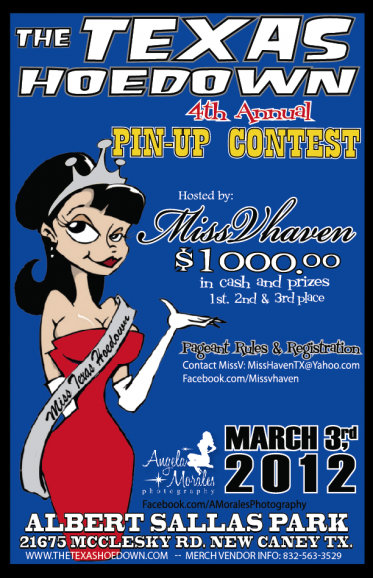 The winners will be announced at 3 p.m. Prizes will be given out all day. EVERYONE who enters a bike is eligible to win prizes. Your bike does not have to win and award to win a prize. This year’s panel of guest judges will feature, Roadside Marty of Flat Broke Customs, Paul Cox of Paul Cox Industries, Chuck Palumbo of CP Kustoms, Patrick Patterson of LED Sled, Jesse Dupre of Jackyl, Sugar Bear of Sugar Bear Choppers, Matt Olsen- Carl Olsen’s son, special guest judges, Michael Ballard of The Full Throttle Saloon and Angie Carlson of Full Throttle Flaunt, and many more. Those who enter their bikes in the show will have a chance to win over $15,000 thousand dollars in door prizes from many different companies like Custom Chrome/Jammer, Factory Metal Works, Stevenson’s Cycle, Fabricator Kevin’s, Cycle X, Affliction, Papa Clutch Customs, Chop Docs Choppers, Low Brow Customs, Baker Drivetrain and many many more. Please see that attached list of available prizes. You must have a bike entered to win the door prizes. There will be tons of crowd giveaways as well. But of course, no Sturgis event would be complete without great bikes, great entertainment and great babes, so be sure to enter your bike or stop by and check out all the action. Registration is FREE and is from 9am until noon. Competing bikes will be on display at The Full Throttle Saloon from noon until 4 p.m. The FREE 2011 Horse Backstreet Choppers Bike Show is sponsored by Evil Engineering, LLC, Stevenson’s Cycles, CCI/Jammer Cycle Products, Baker Drivetrain, Cycle X, Fabricator Kevin’s and many other great companies. For more information or to pre-register contact Kari at (313) 737 8888 or thehorseads@aol.com. Check out these prizes!!! If we are lucky, we might even get the Horse to allow ArtBiker to give away some custom, limited edition prints to a few lucky entrants… we will see! You may know them… The Limpnickie Lot. They are a collaboration of custom bike builders and American Parts manufacturers from the “Next Generation” of the American V-Twin industry. Comprised of small shops and individuals, it is their mission to band together to promote their unique blend of culture and style derived from many younger influences including Motocross, skateboarding, heavy music, BMX, and other aspects of the next generation. You can check out more about the Limpnickie Lot, their history, and their philosophy by visiting them on the web here or by checking them out at one of the many national events they attend to promote their wares. But watch out young whippersnappers! Those old guys have not run out of energy quite yet! In fact, they are banding together to form a united front of talent, craft, expertise, and experience! 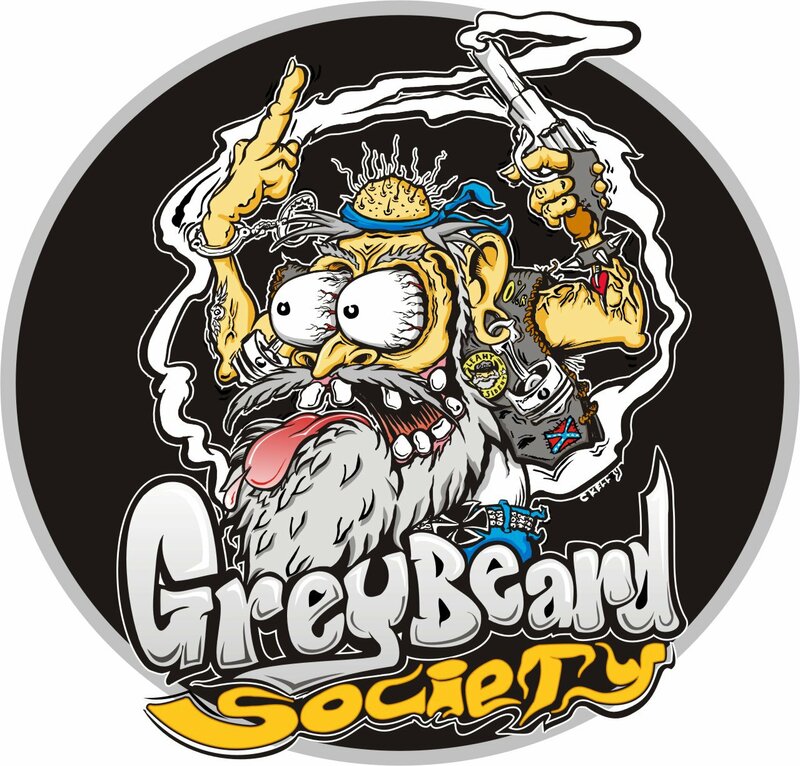 Now with nine “official” members, the Greybeard Society is for those members of the motorcycle industry at least 45 years of age with at least 10 years under their belts, build their own stuff, and are anti-establishment types who don’t follow the rules but, rather, create and innovate thru blood, sweat and HOURS! These are the ones you may not know, but should. Who is on the roster so far?? Please welcome the 1st string of players! What you are looking at is a list of 9 amazing artists, craftsmen, industry folks, and all around good characters. I understand that there will be a tenth name added soon. What you should really, really do is go to their Facebook page and “like” them. That way you can keep up with all the updates. While they may not be skateboarding or listening to Punk Rock while at the rally closest to you, perhaps you can tease them about motorized barstool or Hoveround races and stop in for a free blood pressure screening. But do it respectfully cause these guys are your elders. They know a lot more, have been around a lot longer, and probably have perfected ways to kill you in your sleep and get away with it! Seriously, it is my hope that these guys get some of the recognition they deserve and, by banding together, they become a real force to be reckoned with and admired. Way to go guys… and if you lower the age requirement to 41, I want in!! Final touches going on to the Panhead since it’s refreshing and rebuild by my good friend Steve Garn of BREW Bike fame. When the sled returned to me last month, we discovered a set of faulty gaskets, which required me to pull the fresh engine out of the beautifully painted, and powder coated frame. That done, with a nice set of JIMS gaskets, thankyouverymuch, it was time to take a quick peek at timing and the jetting of the carb. Altitude changes from where the build took place to where she lives now and a timing pin that jumped on us made for a small headache, but it was no biggie and is now all under control. Now I am working on tooling a custom seat and putting on a few finishing touches… I would like to swap out the grips, put a new mirror on her, and change over to hairpin springs under the seat. 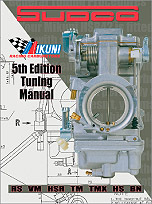 1st is Sudco’s 5th Edition Mikuni Carburetor Manual. Sudco International says it’s the world’s leading source for Mikuni carburetors, parts and tuning components for any motorsports application. Just off the press is the company’s 96-page guide featuring the complete line of Mikuni RM, VM, HSR, HS, TM, TMX and BN carburetors and fuel pumps with parts breakdown diagrams, available tuning components, and tuning and setup information for all Mikuni carburetors and fuel pumps for dirt, street and personal watercraft applications. MSRP is .60. 2nd are these badass floorboards by Shadetree Fabrications, the shop of Kyle Shorey. Cast from Aluminum, Brass, Red Brass or a combo, these boards are one-of-a-kind pieces that stray from the norm in the billet age! With their classic appeal, they take you back in time and will stand the test of time. Sand-cast one at a time the old fashioned way right in Texas, They bolt-on as shakers for a stock Harley Crossbones, or you can order rigid mounted with integral brackets that fit all stock Harley-Davidson footboard applications. Best part? You can design them with your own logo, picture, phrase, or whatever! Just send a PDF of your own design and Kyle can cast it right onto your boards. All aluminum boards with STF logo; $150. 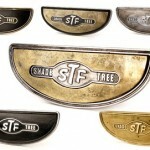 All Brass or combo boards with STF logo; $225. Custom Designed boards with your logo; $425. Contact Shadetree Fabrications. 817-475-1145. 3rd During the last year Bert Baker and crew have been busy conceiving several new “old school” parts. Here are the 4 that are most exciting to those of us with older bikes. 3a- The Tin Type Primary (TTP). Available in starter or kick only applications. 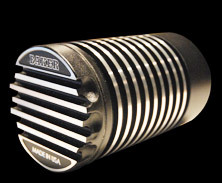 BAKER took the classic 1936-64 tin primary design and re-constructed it with aircraft grade 6061-T6 aluminum to facilitate a 1970-E84 Big Twin alternator motor. BAKER addressed leaks, reduction in chain noise, and has made modern starter integration possible. The Modern internal design of the primary utilizes stock style double row primary chains (428 chains) along a fine tooth and L-bracket chain tensioner. The chain oiler feed and return provisions mimic the original primary setup so you can run your stock Shovelhead dry clutch components or leave it plugged off to run a wet clutch setup. The starter version is setup for factory 1.4kw 1990-2006 starters. Compatible with traditional tin derby and inspection covers or BAKER TTP Covers (sold separately). The TTP utilizes the 1955-64 non-compensator style motor sprockets in order to keep that tight/sleek appearance. Primary drive configurations are -24 tooth motor sprocket, 37-tooth clutch sprocket, and stock 82-pitch primary chain, for a 1.54 primary reduction. 24-tooth motor sprocket is the maximum size that fits within the TTP envelope. -22 tooth motor sprocket, 35 tooth clutch sprocket, and 80 pitch primary chain (available through BAKER) for a 1.59 primary reduction. -23 tooth motor sprocket, 38 tooth clutch sprocket, and stock 82 pitch primary chain for a 1.65 reduction. Available bead blasted raw or fully show polished. 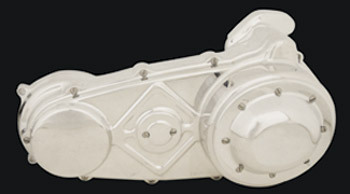 3b- The BAKER Shovelhead Splined Clutch 1970-E84 is based off of their 9-plate clutch used on 1990-up applications and fits in the stock primary housing and TTP. BAKER offers 8620 gear steel 35, 36, 37, and 38 tooth clutch sprockets with their clutches, to dial in your overall gear ratio. 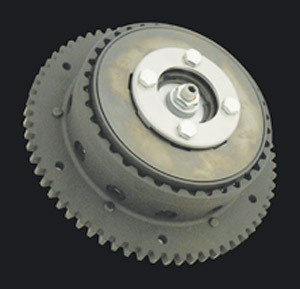 The new splined clutch comes with or without 66T starter ring gear. Baker’s one piece 66T starter ring gear and kick only clutch basket design is made out of 1145 steel, induction hardened T0 45-55 Rockwell C scale for years of wear free use. 9 two-sided Kevlar clutch plates, deliver ample holding power for up to 125 ft-lbs of continuous use. Featuring a 6061-T651 aircraft grade billet aluminum pressure plate that is hard anodized for durability and specially designed diaphragm spring with ergonomic break-over feel during engagement yet having strong holding power when you put the throttle down. 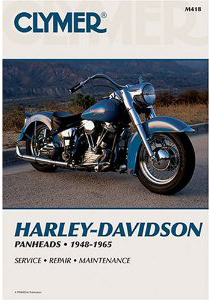 Now if you are thinking, “my Shovelhead has a tapered shaft,” BAKER offers the splined Shovel clutch kit. You know the sad story. The torque on the clutch nut backs off a hair and the key on the transmission main shaft shears off. This usually happens at the most inconvenient time and place. And the probability of this sad story playing out is greater with performance applications. The kit Retrofits and upgrades the stock tapered main shaft and clutch to a modern 18 tooth spline configuration. Kit includes a fully assembled clutch and splined 4-speed main shaft to retrofit stock 1970-E84 Big Twins has an 18 tooth main shaft to install into your stock 4 Speed. 3c- The BAKER Jockey Top Cover is a new product to complete the puzzle BAKER started last year with the release of their 4 Speed for 1936-E84 models. The BAKER Jockey Top like the Ratchet Top comes with a snot-slick linear ball bearing detent for that smooth positive “snick-pop” shift quality you would expect. 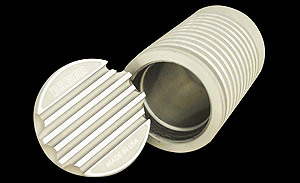 Made out of aircraft grade 6061-T6 billet aluminum with hidden vent and sealed shift shaft make this cover leak free. Available in FL / FX shift patterns, blasted raw, wrinkle black or show polished finish. 3d- The BAKER Stash Tube made out of aircraft grade 6061-T6-billet aluminum with a screw on top and a .200” thick O-Ring make for a water-tight seal. Internal diameter is 2.5” by 4” deep giving you plenty of room to conceal your items. Stash tubes come in raw or cat black finish with highlighted fins and fit all Knuckle, Pan and Shovelhead generator right side / alternator left side style motors. 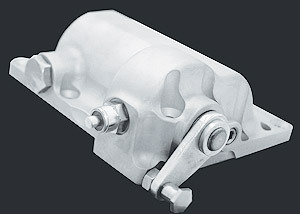 Call BAKER Drivetrain for any questions on fitment or pricing. 1-877-640-2004. 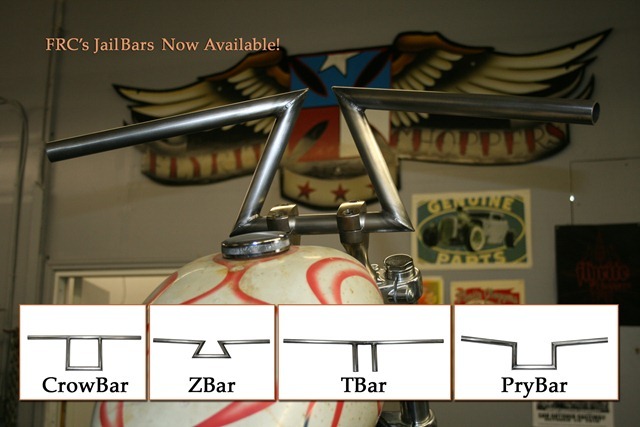 Give Flyrite Choppers a call at (512) 918-2467or drop by www.flyritechoppers.com for more information. 5th is, of course, the Clymer Manual that has helped me get through some parts of an engine I had never seen before in real life… that and my “life-line” calls to Brew are what finished this little baby up right. Brew is an amazing fabricator, builder, and visionary. There will be a more extensive release of the bike in the next week or so… will re-run the groundwork articles as well to get you all ready for the big reveal. A British built bike officially named as the world’s finest custom Harley-Davidson will be among eyecatching highlights at Carole Nash Motorcycle Live , courtesy of show sponsors Carole Nash. Strike True II will make its first UK show appearance after taking the Modified Harley title at the AMD World Championship of Custom Bike Building. 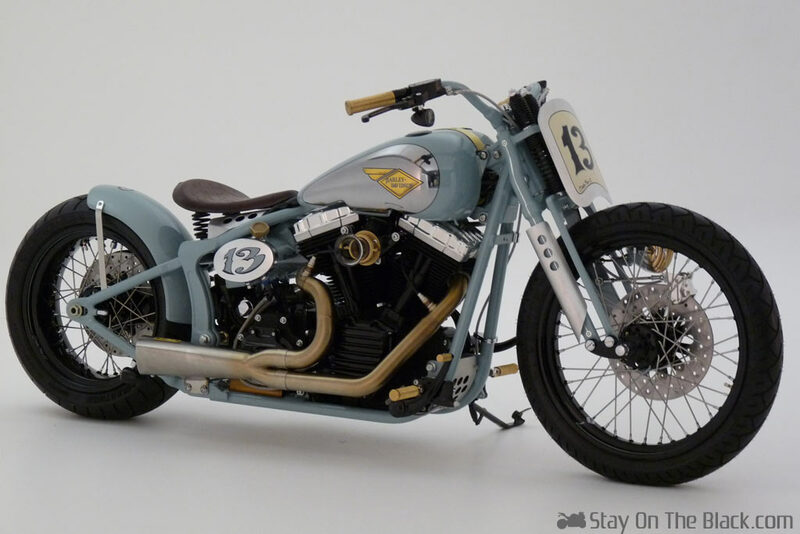 Created by Sussex-based Shaw Speed & Custom the stunning Softail Crossbones is the first British bike to clinch the prestigious award at the world-famous event. National pride will be bolstered when the victorious bike takes centre stage on the Carole Nash stand (R605, Hall 3A) at the country’s biggest bike show. There visitors will be able to admire at close hand the magnificent machine which features ‘40s style speedster handlebars, handmade rear fender and petrol tank fabricated by the team at Shaw Speed and Custom, the customising wing of Holmes Hill dealer, Shaw Harley Davidson . The appearance of the bike is just one of many reasons to visit the Carole Nash stand. The company is promising an enticing array of custom and classic bikes which will sit alongside the twelve finalists in the Britain’s Got Biking Talent competition. Bike beauties from across the contest’s entry categories – Sports, Classic, Choppers & Customs, Streetfighters, Concours & Restored and Street Modified – will be displayed on a special stand next to Carole Nash’s. Show visitors can also collect their free Carole Nash goody bag which will include the annual must-have calendar featuring all of the Britain’s Got Biking Talent winners.